Wow!! What a busy summer we’ve had. It just flew by as I’m sure yours did also. We pray you have an easy school year start and a good year. 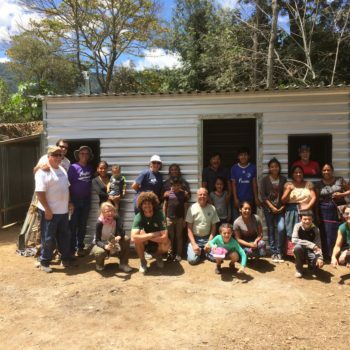 Pioneer Drive Baptist Church was our next team, they built 2 houses, gave 20 food bags, installed 4 stoves and went to both Campos de Suenos and the Day care. Next was Hope Project, they built 2 houses, had VBS at the Day care and Campos, installed 4 stoves and gave 10 food bags to families. We also had 2 couples from Florida, Harold and Judy Hanks and Brian and Tammy Faulkner come and stay with us and minister. 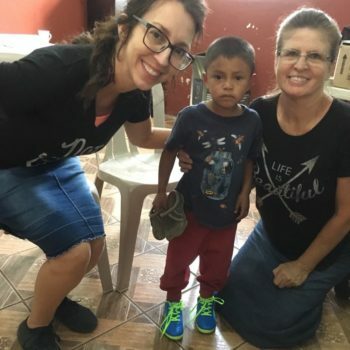 They built 2 houses, gave out 20 food bags, helped Bob install a water pump at Land of Hope in Esquintla, the ladies served at Campos de Suenos and also distributed shoes that the previous team, Heartland Church, had purchased for the children. We only have a few more teams coming in the remainder of this year. We want to take this opportunity to thank every person that came and served. 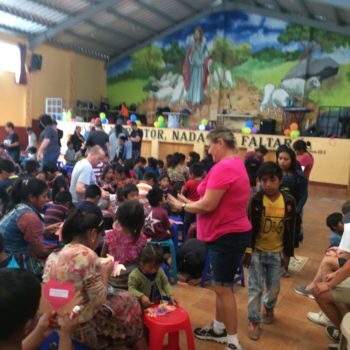 We appreciate the time and effort you put forth for this ministry and the people of Guatemala. We pray as you are in your home churches that God will bless you and use you abundantly where you are. Prayer requests: safety and health for our remaining teams, for the family with the baby diagnosed with Down Syndrome, for the little girl having eye surgery, for the baby that is blind and had to go for further testing, for the people affected by the volcano eruption, for us and the ministry’s future work here.